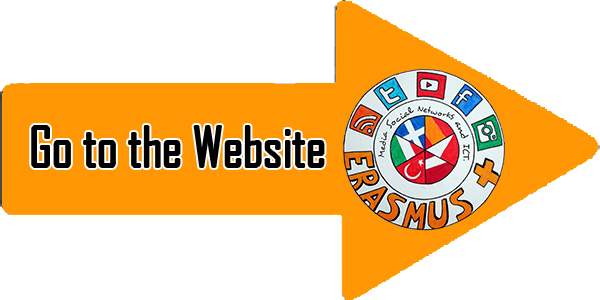 This survey was conducted as part of an Erasmus project which has been running since November 2015 and is expected to be completed by June 2017 under the general title “Social Media and ICT: opportunities for learning” and with the collaboration of six European schools of secondary education (Spain, Italy, Greece, Turkey, Latvia and Poland). This particular survey is one of the activities of the program and aims to research the habits of both teenagers and adults and the ways they use Social Networks in their everyday life. As can be seen from graphs 1 to 3 the survey was conducted during March 2016 and was answered by 610 students and 71 teachers of all six schools which participated in the program. Latvia was the country, which mostly answered the questions (32,5% of the students and 28,2% of the teachers), while Spain had the lowest contribution as far as students are concerned (7,9%) and Poland had the lowest contribution of teachers (9.9%). The majority of the student who answered the survey were between 14 and 16 years old while the majority of the teachers were from 35 to 54 years old. As for the participants’ gender, the number of boys and girls who gave their answer was equal, while most of the teachers were female (69%). 4. Which of the following social networks do you use/have used? The most used social network by students is Facebook (81.1%), followed closely by Youtube (79.3%) and Whatsapp (66.7%). For teachers, the most popular social network is Youtube (88.7%), then Facebook (76.1%) and then Whatsapp (73.2%). Both use the same social networks with slight differences. This shows that these social networks are popular among all ages, most likely because they are made for with this purpose. Q.5. Which of the following social networks do you use the most? The students use Facebook the most (60%), followed by Whatsapp (56.2%) and Youtube (54.3%). Aside from that, a reasonable amount of students use Instagram (45.9%). The teachers use Facebook the most (63.4%), then Whatsapp (57.7%), then Youtube (45.1%). The Instagram is not very popular among teachers (14.1%). Teachers and students have mostly the same preferences, except for Instagram, which is more popular among teenagers. Q.6. Why do you prefer this social network? Students mostly use it because most of their friends use it (55.1%), it has interesting content (53.6%) and it is easy to use (48.2%). For teachers, the most popular answer is that because it is easier to use (74.6%), because most of their friends use it (57.7%), and because it has interesting content (42.3%). We can say that the students' preferences are mostly based on the popularity, whereas the teachers' preferences are based on the accesibility of the social network. Q.7. What do you use it for? For students, they mostly use it to talk to their friends (77.9%), just for fun (51.8%) and to find information (46.9%). As for teachers, they mostly use it to find information (57.7%) followed very closely by talking to their friends (56.3%) and keeping in touch with their friends and relatives that live far away (53.5%). Also a significant amount of teacher use it for educational purposes (42.3%), unlike students who don't do this frequently (16.6%). Both groups use social networks to talk to their friends and to find information. However, teachers seem to use it mainly for practical and educational purposes, while students use it more to have fun. 8. How often do you use it? The students' most popular answer is every day (56.4%) and more than once a day (36.6%). The teachers' are more or less the same; they mostly use it everyday (46.5%) and more than once a day (32.4%). Both are very active but students spend a little more time on social networks than the teachers. Q.9. When you connect, how long do you stay online? One quarter of the students say that they stay connected all day long through their mobile phones. The second most popular answer is that they stay connected for half an hour every day. The teachers most popular answer (36,6%) is that they stay connected only for half an hour. Their second most popular answer is that they stay connected for only one hour(28,2%). A very significant amount of young people spend all of their time connected on the networks, while adults make more responsible use than the students. Q.10. How often do you upload information on the social network(s) you use? More than one quarter of the students upload information on the social networks once a week. The second most popular answer is that they upload information every day. The teachers’ most popular answer is that more than one third of them upload something on the social networks once a week. The second most popular answer is uploading information every day. Young people upload more information than adults and they do it more often. Q.11. What kind of personal data have you made public on the social networks (s) you use? The students publicize their names mostly ( 89.5%). The second most popular answer is that they make public their date of birth (70.9%). Teachers give the same answers. Both students and teachers make public their names and date of birth. Q.12. Do you think it is safe to upload this kind of data ? Students’ and teachers’ answers are very different on this question : more than one third of students (37.2%) think that it is safe, while more than half of the teachers suppose that making public your personal data (50,7%) is not safe. Both students and teacher think that public personal date isn't safe but they do it. Q.1. Which of the personal data named above should NEVER be made public on a social network in your opinion? The students' 3 most popular answers are bank account numbers (82%), ID numbers (72%) and addresses (70.7%). The teachers' 3 most popular answers are bank accounts (97.2%), ID numbers (78.9%) and addresses (76.1%). They give the same answers, with the difference being that the teachers percentages are higher, which shows that adults are more aware of the possible dangers of uploading personal data, so they are expected to be a little more responsible than students. Q.14. Do you know the safety rules which apply to the social network(s) you use? The students mostly answered “yes” (78.5%), only a small amount of students said “no” (15.7%) and an even smaller amount said that there are no safety rules (5.7%). The teachers mostly answered “yes” (73.2%), and just like students, a small amount of teachers said “no” (21.1%) and an even smaller amount said that there are no safety rules (5.6%). Almost everyone says they know the safety rules. 15. (for students) Do your parents allow you to use social networks without any supervision? Q.15. (for teachers) Would you allow your children / students to use social networks without any supervision? Almost half of the students say that they their parents don’ t supervise them when they use the media (43.1%). Almost 1/3 of the students say that they can use the media unsupervised but their parent have warned them about proper use (39.8%). A small number of children say that they don’ t need permission (11%) . As for the teachers a big majority of them says that they warned their children before letting them to use the media (73.2%). Many students use social network without any supervision but another big amount say that their parents warned them about certain dangers. As for teachers, the biggest amount say that they also warn their students and children. Q.16. Do you make friends on the social networks that you use? 1/3 of the students says that they only use networks to communicate with their regular friends (34.4%). Another 1/3 says that they might make a friend who seems really interesting (30%). A smaller percent of the students stays with their real life friends (24.4%). As for the teachers, 40% of them do not make friends on networks, another 30% use the networks to communicate with their regular friends, while 26.8% of them might make friends over the network. They both mostly say they don’t make friends on the internet and they usually use social networks to talk with their real life friends, and the ones that do make friends on the net say they only talk with really interesting individuals. Q.17. Have you ever met any of your "network friends" in real life? More than half of the students says that they wouldn't do that because they have been warned against(54.3%). But there is an important percentage of students (36.6%) who have actually done this. The same goes for teachers but the percentage of negative answers is larger (74.6%). The majority of both students and teachers say you should avoid such dates, but there’s also a reasonably high amount of students and teachers who say that they meet their network friends in real life . 18. Have you ever felt uneasy, offended or scared after chatting with someone on a social network? Most of the students say they have never felt uneasy chatting with someone (44.6%). Another big percentage has heard people who have had problems like that (31.6%), though. Most of the teachers also say that they know people who had this problem (47.9%) but there is another large percentage of them that says they have never had this problem (22.5%). On the other hand, there is also a small and important percentage of teachers that says that they have had this problem more than once (18.3%). The majority of both students and teachers says that they have never had this problem or they just heard about others having it. Another important percentage of teachers says that they felt uneasy more than once . 19. If your previous answer was Yes, what was it that scared, offended or upset you? From the amount of people that says they had a problem using the networks the majority of both students (30.8%) and teachers (54.8%) says that they heard offensive language or vulgar comments . The second big percentage of students is that they was mocked (27.4%) and for the teachers the second big percentage is that they had been shown inappropriate photos or videos (41.9%). Q.20. Did you talk to someone about it? Conclusions: Both of them answered mostly the same but most of the teachers say they eventually talk to someone about it, but students mostly avoid doing it because they don't feel comfortable or they get threatened not do so. Q.21. If yes, who did you talk to? Students would mostly talk to their friends (70%), their parents (33%) and a small amount to their teachers (13%). Most of the teachers talk to their friends (52.9%) and just as many amount talk to their colleagues (52.9%), and some of them talk to their family (38.2%). Conclusions: This shows that both students and teachers feel more comfortable talking about this with their friends rather than with their family. Q.22. (for students) Did the people you talk to help you? Q.22. (for teachers) Did you manage to help your student? Results show that students are mostly able to get help (70.4%), sometimes they don't get good results (11.9%) and occasionally they want help but they don't know what to do (9.3%). For teachers, most of the time they are able to give help (81.6%), sometimes they wanted to give help but they didn't know what to do (13.2%), and occasionally they weren't able to get any results (5.3%). Conclusions: We can conclude that it is a good idea to ask for help because it is possible to get help most of the time so we shouldn't hold back. Q.23. (fro students) How did they help you deal with the problem? Q.23. (for teachers) How did you help him/her deal with the problem? Most of the time students get advised to stop talking to that person (67.5%), and sometimes they are told to stop using the social networks (15.9%) or they have started to use the social networks together and the offences have stopped (15.9%). Most of the time teachers advised the victims to stop talking to that person (77.8%), sometimes they told them to stop using social networks (16.7%) and sometimes they contacted the authorities because the situation became serious (13.9%). Since the most given advise is to stop talking to that person entirely, we can conclude that is the smartest action to take. From the survey we can conclude that both age groups have almost the same results in most questions. So all of them are familiar with both advantages and problems of using Social Networks. However, students stay connected to the social networks all day long while teachers stay only for an hour or an hour and a half. So, we can conclude that the young people are more addicted to the media than older people. An other important difference is that students don't realize how dangerous it is to upload personal data on the internet while adults are much more cautious in that area. Finally, an important conclusion that can be made by the final questions is that young people should turn to adults (teachers or parents) for help in the cases they face problems when communicating through the social media. Most of them are more than willing to help them. At the same time, though, adults may need some kind of information from proper institutions and authorities, so that their help can be more effective. The two videos show how cyberbullies attack others and what are the consequences. Our times are times of speed and rapid evolution. Expressing onerself in short phrases is considered as a useful and essential skill. The Greeks, however, love talking and have always been actual chatterboxes. Therefore they've managed to combine their need to communicate with the modern need for speed by the use of technology. Personally, when I wake up in the morning I usually log in my internet connection. I do the same at noon, before or after lunch, in the afternoon, while eating my fruit, as well as in the evening, while watching TV. And I surely have a look before I go to bed. What for? My messages of course! I chat with my sister, who is in the next room, or with my classmate asking about our homework or with my American friend to exchange our news. In short, my internet connection stays on almost all day long. I must admit that sometimes, in order to avoid the temptation of using the wide range of possibilities my cell phone and laptop offer me, I give them away to my mum. I guess most of you may think that I am addicted to technology. But you should consider the fact that you do exactly the same. You may also be addicted, to a certain extent. Is all this, however, to our benefit, as it has become part and parcel of our daily routine? Undoubtedly, not. On the one hand, the advantages of communication through the Internet are many. At first, it makes it possible to communicate with people who live far away from us, eliminating the distance between us very easily and quickly. Secondly, it gives us access to all kind of information, knowledge and entertainment at the time we want it and according to our preferences. Finally, it gives us the opportunity, not only to receive information passively but also to express our opinions and comment on the pieces of news we find in various sites, blogs and social media. On the other hand, obsession with this kind of communication has an important impact on us and our native language. We tend to neglect our schoolwork or even our daily entertainment with friends. The consequences to our language are more dangerous, as we tend to make grammatical or spelling errors because of writing fast or using the latin alphabet (greeklish). Our language carries our nation’s history. It is a reflection of our origins. Because of the fast pace of the technological world, we tend to use our language wrongly. The more and the faster we talk, the poorer and the more restricted the vocabulary we use. This is a great shame, as the Greek language is an ancient language, famous for its rich vocabulary, its expressive power and its accuracy. Finally, an equally important impact of the increase of digital communication is the misuse of acronyms, in order to shorten our speech. We do not realise, though, the negative impact this may have on our mental abilities and communication skills. It is neither possible nor desirable, of course, to live without technology. However, we should think of some ways to limit digital communication only where it is needed, promoting more direct communication. It is best to socialise with our peers in person, discussing, exchanging opinions, so we can broaden our horizons. There can always be a book (paper or digital) which could contribute to our mental development. I believe we should realise that our language is an essential element of our culture, a part of ourselves. Therefore, we should do anything we can to use the modern media of technology in ways that help us communicate with each other without threatening the quality and variety of our language. To sum up, digital communication has become a part and parcel of our life. As long as we use it in moderation, we should benefit from it without putting at risk our native language and, in this way, keeping our national identity unspoiled. Technological means of Communication: Threat or Evolution? The modern era is characterized by the fast pace of life, the lack of free time due to the many professional obligations and the materialistic spirit which discourages people from intellectual activities. Nevertheless, according to a recent survey of the Institute of Communication, people still talk to each other. But the existing communication does not rely so much on personal contact but on the use of digital media, particularly by young people. Many aspects of everyday life can support the above view. First of all, as far as we can see everywhere, outdoors and indoors, young people use mobile phones incessantly. Many times they use them to talk, even if they are next to each other. Moreover, young people today use the technological means to communicate with their peers practically for everything, e.g. to exchange views on a subject, to arrange their meetings or just to chat about their news, when they have time. This strong presence of technology in people’s communication affects many areas of their life. Initially, in social relations, the people get cut off from society, because of having little personal contact with other people. They become introverted and they do not establish relationships with other people. Their communication is confined to the service of simple daily needs. People do not exchange views with other people face to face, they do not communicate, in my opinion, and they do not learn to live with others. Especially young people, have problems forming their personality fully, if they stay limited in the standardized communication and not come in contact with other people with different characters. Because, by nature, people need direct contact with other people and, when this is replaced by a screen, they feel isolation and loneliness. At the same time, when people communicate through modern technological means, they use acronyms, abbreviations and coded expressions either from their own language or from foreign languages, especially English. This results in the restriction of their vocabulary and may impoverish people’s native language. All these endanger our mother tongue, which we must preserve. To accomplish this, people and particularly young people should use their mother tongue to communicate with each other and use foreign words only when it is necessary. Furthermore, discussion with other people on issues of interest to them can help broaden their intellectual horizons and sharpen critical thinking. So, they will be able to communicate more easily and effectively. Finally, reading books is an important way in which young people can enrich their vocabulary and use Greek correctly. Only by knowing their own language perfectly, can they also use a foreign language to communicate. In summary, everybody realizes how useful technological means are today, because everything is working in accordance with them. But it is necessary for people to use them wisely, only where they are needed. Because their communication must be based on personal contact, in order to guarantee real human relations and also the existence of society. Greek actor and director, Thodoris Atheridis, has created a very good adaptation of the very successful Italian movie «Perfetti Sconosciuti», which has been awarded 5 Italian “Oscars” (David di Donatello awards), about seven long-time friends who get together for a dinner. When they decide to share with each other the content of every text message, email and phone call they receive, many secrets start to unveil and the good friends prove not to have been exactly honest with each other. In a warm summer evening, a loving couple, Thomas, a plastic surgeon and his wife, Martha, a therapist, are expecting their long-lasting friends to share a pleasant evening over dinner. The bell rings and it is Giorgos and Ersi, followed subsequently by Aleko and Lina; the only one missing is Achilleas, their friend who is still single. Before long, the group is complete and without any delay, they begin the feast. Surely, this is a nice but somewhat usual dinner, when suddenly someone makes a suggestion: to place their mobile phones on the table and play a game like Russian roulette. Whatever message is received (texts, What’s App messages, calls) should be shared by all of them. Clearly, this uncommon “truth or dare” game has no point among friends who share everything with each other. Nevertheless, when the phones start ringing, who will be the one with the sweatiest palms? I saw the Greek version of the film last night and I think it is really a very clever idea with funny and realistic dialogues, interesting twists in the plot and a rather “bitter-sweet” ending, which leaves you thinking about human relations and what people choose to make of their lives. Out of all the things said and commented by the characters, I was mostly struck by a hero describing their smart-phones as the “black boxes” of their lives. I thought this to be a very accurate analogy. All information that is important to us, all important information about us, all our precious memories and all our secrets are recorded, stored and dispersed by these small pieces of equipment. We do everything to fill up our little “black boxes”. After all, they have limitless storing space, they are lightweight and we can carry them with us everywhere. Then, we can use them to brag about our “full” lives. We can show people pictures of our sweat-heart, our children or our holidays. Soon, they will even replace our “full’’ wallets. Recently, I’ve seen some TV spots, showing people using their smart phones to pay for goods and services. I’ve even seen a spot on the Internet about a huge store that won’t even have cashiers’ desks and long queues of upset customers any more. We will find what we want to buy, wave our smart phone in front of it, take it and leave the store. The amount of money will electronically be taken out of our electronic accounts. Really smart machines, produced by and for a really smart society. No more angry customers waiting in line, while the one in front of them is picking his pockets for change. Because, the way I see it, in the future of our “prospering’’ western globalised economy the majority of the working population – which will be the minority of the general population, anyway, considering unemployment and poverty rates worldwide – will only be having some change to go shopping with. No more “lazy” and “rude” cashiers, either. Just some more redundant personnel, just some more unemployed people, with not enough “money” in their wallets-smart phones, to go shopping with! Never mind that, though! We are used to getting by with less, by now. After all, money isn’t everything. Feelings matter most. Life is full of so many beautiful, happy, little moments. Let’s concentrate on “saving” our lives in our little “black boxes”. That way we will always remember the glorious sunset by the beach in the summer; or our son’s winning shot in the school basketball finals; or our daughter’s wedding. We have them all on video; we watched them through our smart phone’s camera. But not with our own eyes! As if they wouldn’t have happened, if we hadn’t “saved” them. Or would they? What has actually happened to us? What have we lived through? Does our life consist of what we have “saved” in our smart-phone and uploaded on our facebook profile? Is this our real life or a simulation? Is this our real “face” or our “Dorian Gray’s portrait”? A virtual face – photoshoped and enhanced – and a virtual life in a virtual world; much better and much happier than the real world, where there are no music jingles to add to our videos and no colourful stickers to decorate our comments with. But in the real world we can actually sing and dance with each other and we can “decorate” our comments with a smile or a frown. And most important, we have to be there and actually sense the impact of our smile or frown on the other person’s feelings. So, in the real world we have to think twice before we smile or frown. We have to think twice about what we say and what we do, because we will have to deal with the other person’s reactions to out words and actions. And then and there – in the real world – we will realize that our lives are not about us, but about the others around us and how we relate to them. And then we might start trying to enhance our soul and our attitude towards them and not just our profile photo in our social media pages. And, hopefully, we might start trying to improve the real world, instead of seeking refuge in our colourful digital virtual world. A common phenomenon of our time is that young people speak with each other daily using the modern electronic means of communication, such as the mobile phone and computer. According to a research of the Greek Institute of Communication, the Greeks – mainly young people – come first in chatting, as 44.6% “speak” more than eight hours a day, using means of digital communication. There are many examples of this phenomenon, that is to say the increase of digital communication between mainly the young people of our age. At first, it is obvious that if we find ourselves in places where young meet, we will realise immediately that most of them spend their time together using their mobile telephones, ignoring the value of personal contact. Moreover, according to research done by various organisations, almost all young people use at least one of the modern electronic means to communicate, such as mobile phones or computers. Also, most of them have personal accounts in popular social networks, such as Facebook, where they can communicate with other people at any time of day. All these examples prove that extensive use of digital means of communication has become a big part of our everyday life. This extensive use of electronic means has also created serious repercussions in the way that young people in Greece write and speak in their mother tongue. Initially, with regard to the written word, young people and mainly school children seem to have serious problem in this. Research has shown that most young people cannot use elementary grammatical rules correctly, because of the continuous use of computers and the predominance of “shortened” forms of language (e.g. acronyms). Moreover, there has been concern about the decline in the quality of communication in general, because of some negative influence from the language of computers, where people make systematic use of slang, acronyms, words and expressions from the foreign languages – particularly English – which invade national languages and affect them. As a result, not only is the mother tongue of every country affected but there are also some communication gaps between people, especially of different ages. What is most important, however, is the danger of losing the substance of communication, which has to do with personal contact. In a few words, the extensive use of digital communication has changed the way modern people communicate, offering many advantages in the everyday routine of people but also creating some problems, which should be dealt with as soon as possible (“asap”, as we should say in computer dialect). There are many ways that can improve the oral and written expression of young people. Of course, nobody can suggest that they should stop using modern electronic means, as long as they do it moderately. To do away with negative effects of technology, we can look for help to our familial environment. Specifically, parents should become communication models for their children, teaching them how to develop healthy interpersonal relations. Apart from that, they should urge their children to read literature, so that they can improve the way they express themselves orally and in writing. Finally, another factor that should help children improve their oral and written expression is school. Formal education should not be focused only in examinations and professional specialization, but also in the development of human values and right attitudes toward all aspects of reality, including technology. So, it should use technology in a creative way to help young students develop their language skills, in order to communicate properly and efficiently, as well as to appreciate the value of personal communication. To conclude, there are numerous examples of the extensive use of digital communication around us. We should try our best to make good use of the possibilities technology has to offer without letting it dominate our life and distort our language and human contact.